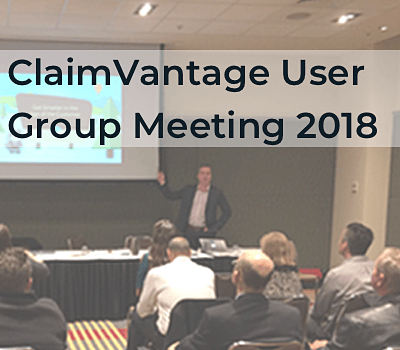 Melbourne, Australia, October 2nd, 2018 – ClaimVantage, the leading international provider of life claim management software solutions for insurance companies and superannuation funds, will exhibit at the biennial ALUCA conference being held in the Hotel Grand Chancellor, Hobart, Tasmania, from the 11th until 13th of October inclusive. This year’s theme is ALUCAInnov18 Life Changing, which promises to deliver a programme full of exciting and innovative content relevant to life insurance professionals. With the life insurance industry undergoing a period of change, claims professionals are looking to introduce new technology to remain ahead of the competition and to focus on improving the customer experience. That’s where vendors such as ClaimVantage can step in to help. Traditionally, insurers hired a large IT team to build, implement, and maintain legacy software solutions. However, in today’s digital world, IT teams are resource constrained and are struggling to stay ahead of a continuously changing technological environment. Investing in a truly cloud-based vendor solution, where the vendor provides regular software upgrades, is a clever move. Not only will new features and functionality be pushed out regularly, but software built in the cloud has many benefits, including faster time to implementation, reduced implementation and hardware costs, and better integration capabilities with existing systems. MLC and Zurich have both successfully completed digital transformation projects using ClaimVantage to improve their claims processing departments. Their claim management software provides claimant-centric solutions that ensure both insurers can work directly with claimants quickly and efficiently during stressful events in their lives. You can read more case studies on the ClaimVantage website. 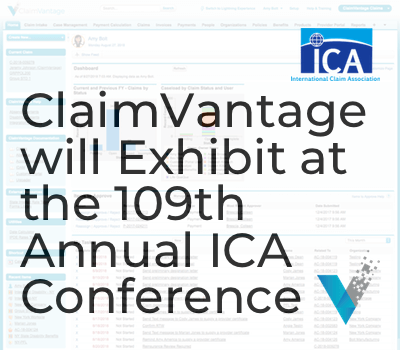 To talk to the ClaimVantage team, visit the booth during the Welcome Reception on Thursday, October 11th. ALUCA hosts this biennial event to bring life insurance professionals together to connect and discuss industry trends while learning from leading industry experts. ClaimVantage is proud to be a bronze sponsor of this industry member association, which promotes best practices across the life insurance industry. ClaimVantage offers industry-leading life claim management software solutions for insurance companies and superannuation funds. ClaimVantage provides cloud-based, automated claims processing solutions that drive efficiency, accuracy, and productivity, helping their customers to deliver superior customer service for a competitive edge in a crowded marketplace.